*Prince announced today that he’s released “Breakfast Can Wait,” the track that features as its cover art a photo of Dave Chappelle dressed as Prince. The song is being released through his new distribution deal with the independent Kobalt Label Services. Prince has been raising his profile lately through performances with his new group, 3rdeyegirl, and through tweets from the group’s account. 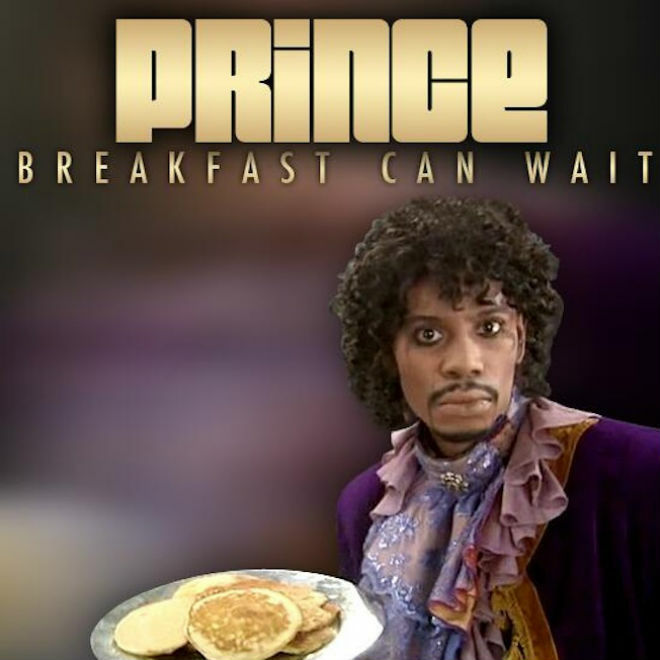 The cover art, featuring Dave Chappelle as Prince holding a plate of pancakes, is a nod to Chappelle’s infamous skit on Comedy Central’s “Chappelle Show.” Prince revealed the cover art last month.